Its official. I am addicted to these bars. I don’t think I will ever be buying ‘real’ nakd bars ever again. These bars are so easy to make. I know not everyone has a food processor, I didn’t until my parents bought me one for Christmas two years ago, but it is so incredibly useful! I think mine cost around £35 in a sale, which is pretty inexpensive in the long run when you think about how much it will do for you. I think its worth the money and I wish I had had one years ago! 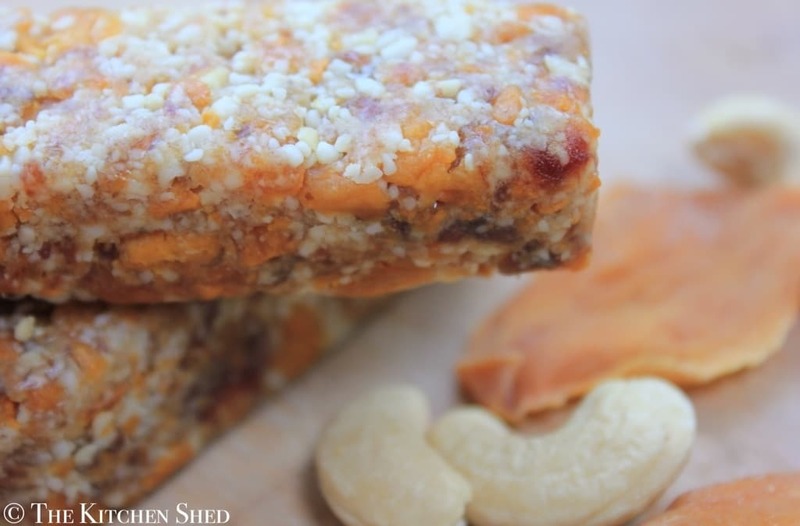 Clean Eating No Bake Mango Bars are the perfect sweet treat. 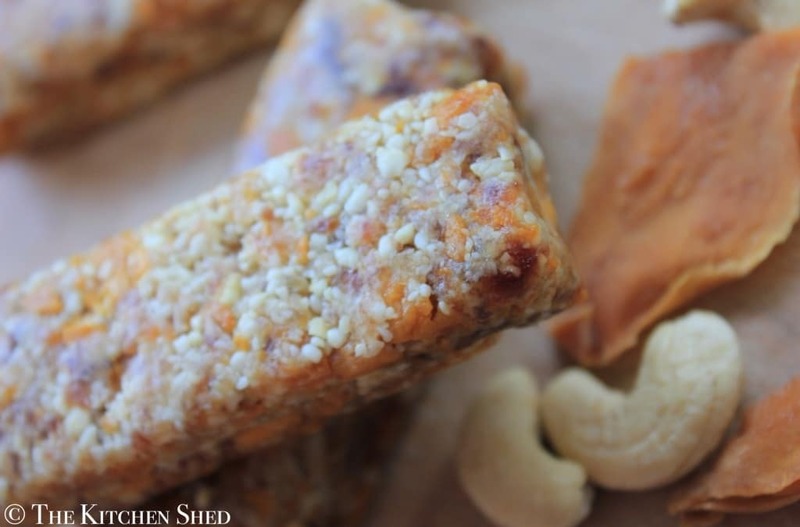 They are raw, gluten free, dairy free, egg free, sugar free and generally delicious! I would probably quite happily turn down a slice cake for one of these instead (unless is was homemade cake maybe….) I seriously love them! 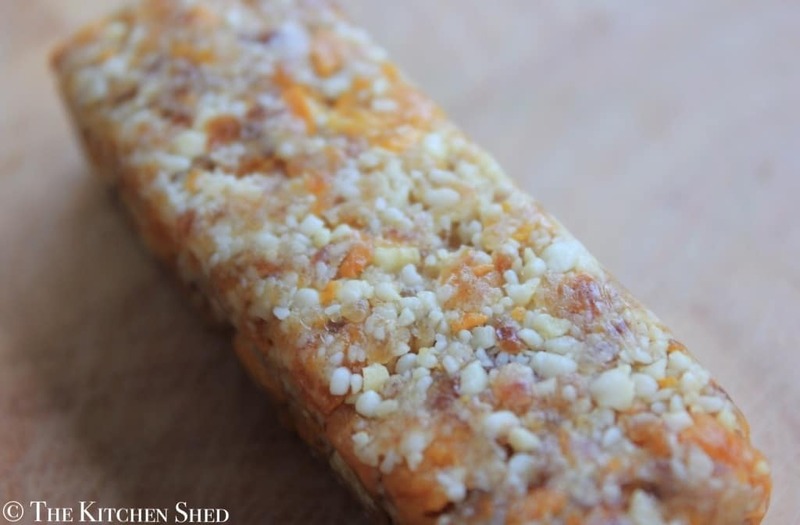 Clean Eating No Bake Mango Bars are the perfect sweet treat. They are raw, gluten free, dairy free, egg free, sugar free and generally delicious! Place the cashew nuts into the food processor and blitz until they resemble fine breadcrumbs. Remove the cashew nuts from the food processor and set aside in a bowl. Add the dates and the mango to the food processor and mix until mostly broken up. Add the cashew nuts back into the food processor and blitz until everything is thoroughly combined. Pour the mixture into a tupperware box and press it down firmly with the back of a spoon to your desired thickness. (I like mine to be about 1.5cm deep). Once smooth and tightly squashed, refrigerate the mixture for 2 hours, or overnight. Once the mixture has been refridgerated, you can take it out and cut it into bars. Wrap up each individual bar tightly in some food wrap and store in the fridge until you need them. These are better than the Nakd bars. I am addicted to mangos so I will definitely be trying these this week as a little treat.